Since I first published the page of Data Analysis tools for Mac OS X I’ve had a steady stream of suggestions for inclusion. What has been interesting is the diversity in the types of data and the number of specialist tools that are available. Spectraworks develop novel tools for spectral analysis and estimation, significance testing, noise filtering and prediction of time series in geophysics, finance, and biomedical science. 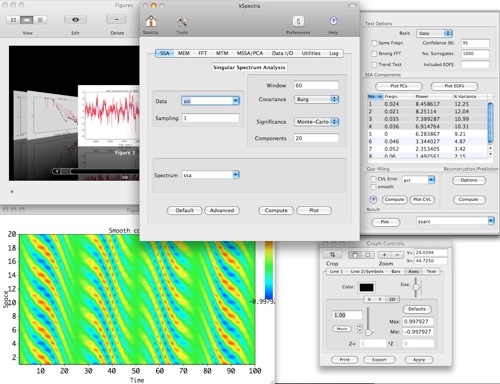 They have developed the kSpectra Toolkit for Mac OS X a set of powerful tools for advanced time series analysis. It is available from the Mac App store and I’ve added it to the Data Analysis tools page.